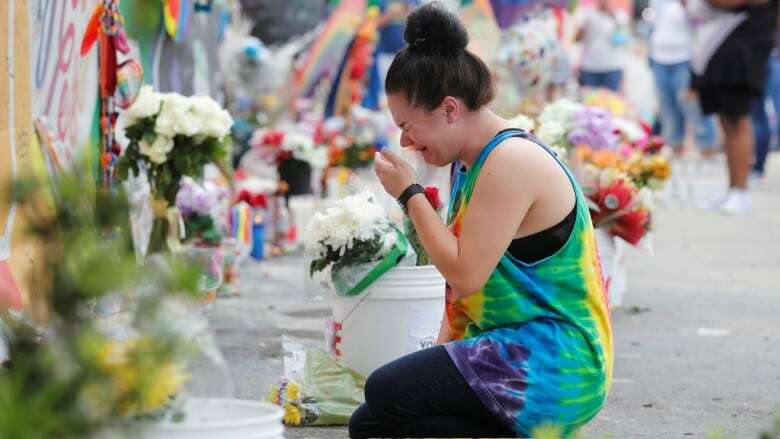 Church bells tolled 49 times, a giant rainbow flag hung from a county government building and the names of the victims of the Pulse nightclub attack were read aloud at various ceremonies Monday as people in Orlando, Fla., and beyond remembered the worst mass shooting in modern U.S. history. 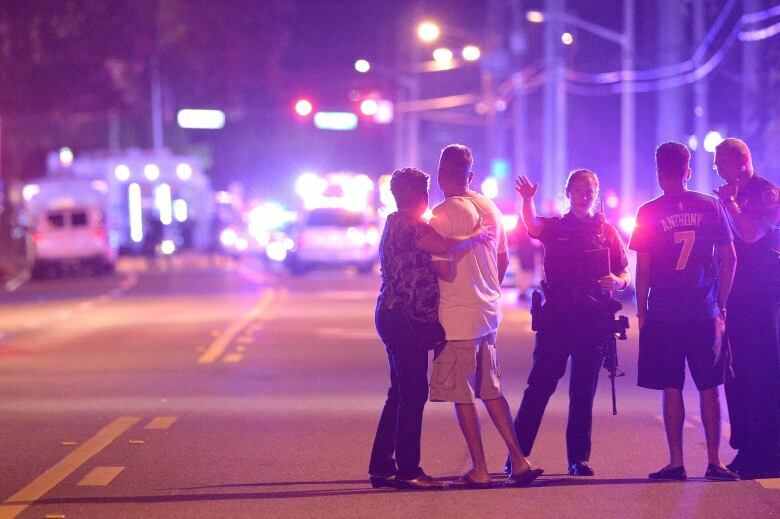 At 2:02 a.m. local time, survivors, victims' families, club employees and local officials were gathered for a private service at the gay club at the exact time Omar Mateen opened fire a year ago and pledged allegiance to the Islamic State in Iraq and Syria group. He was eventually killed by police after a three-hour standoff on June 12, 2016. "I realize that gathering here in this place, at this hour, is beyond difficult," Orlando Mayor Buddy Dyer said. "But I also know that the strength you've shown over the past year will carry you through today and in the future." The service began what would be almost 24 hours of solemn remembrances. During a midday service, the Orlando Gay Chorus performed Cyndi Lauper's True Colors and speakers talked less about the tragedy and more about how Orlando-area residents came together in the aftermath. Orange County Mayor Teresa Jacobs said the city will only partly be remembered for the shooting. Most of the patrons killed were gay Latinos. "That will be a part of the history books, but the true legacy of our community is going to be in our darkest hour we responded with love and compassion and unity," Jacobs said. At noon, church bells throughout the Orlando area rang 49 times. Gov. Rick Scott ordered U.S. flags around Florida to be flown at half-mast and a pride flag was unveiled at the Orange County government building. 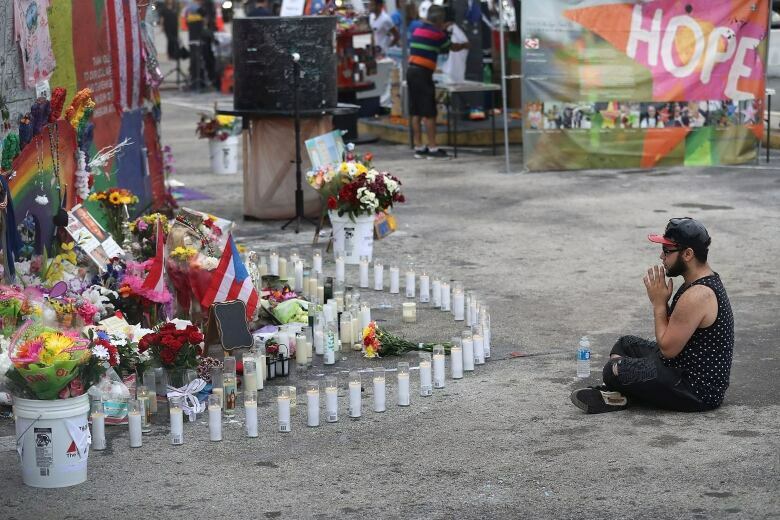 In the evening, rain didn't deter thousands of people from showing up at a remembrance in downtown Orlando in front of an amphitheatre that was painted in rainbow colours after the massacre. City officials estimated that 15,000 people showed up for the ceremony during which individuals dressed as angels with white billowing wings took the stage as the names of the 49 people killed were read. At the last service, a late-night ceremony attended by hundreds of people outside the nightclub, Pulse owner Barbara Poma said she had wanted to start and end the one-year commemoration of the tragedy at the nightclub she had opened in memory of her brother. "It truly means the absolute world to me to see all of you here," said Poma. Earlier in the day, Poma said when people ask her what has changed in her life since the tragedy, she tells them "everything." But she said she is grateful for the outpouring of support. She plans to build a memorial at the site of the nightclub, which has been closed since the tragedy. "I miss Pulse," she said. "I miss everything it stood for." U.S. President Donald Trump tweeted a photo of the victims and said: "We will NEVER FORGET the victims who lost their lives one year ago today in the horrific #PulseNightClub shooting. #OrlandoUnitedDay." Local leaders said Mateen's hateful act caused an outpouring of love from Orlando and the wider world. "What a terrorist tries to do is divide us," U.S. Sen. Bill Nelson said. "Isn't it interesting it had the opposite effect? It brought us together in unity and love." Outside Pulse, hundreds of people dropped off flowers, drawings and cards. 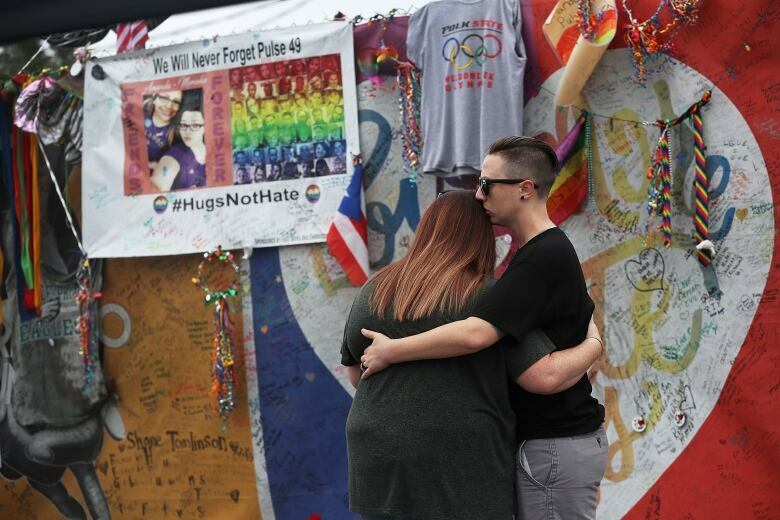 "It still hurts, it's still very raw," said Erin Anderson, a friend and former co-worker of Pulse victim Xavier Serrano Rosado. Jeannine Williams used to live within walking distance of Pulse and was a frequent visitor. She had made plans to be there the night of the shooting but decided to go another night club. "A year later I think the thing that is most important is this community and why I live here and why I'm so happy to live here," Williams said through tears. "The support we not only have from our city government, it's not fleeting support, it's not support on certain days. It's the way the community is. This is Orlando. This is why I just love living here."